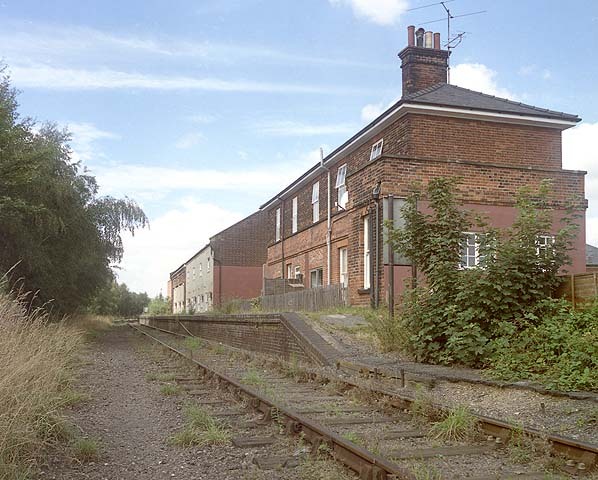 Present state: The station buildings and platform are still extant. The track through the station is still in use carrying spent nuclear fuel from the power station at Sizewell. Notes: BRIEF HISTORY OF THE ALDEBURGH BRANCH The Aldeburgh branch measured 8.5 miles in length from Saxmundham on the East Suffolk main line. 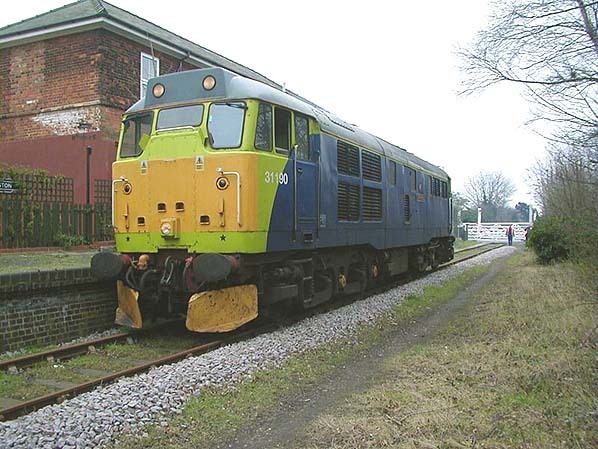 It was opened by the East Suffolk Railway to initially serve only Leiston (4.5 miles) on 1 June 1859. The same year, authority was granted to extend the line to the fishing port of Aldeburgh, opening on 12 August 1860. The modest single platform terminus was provided with an overall roof. Steam trains served the Saxmundham - Aldeburgh line, but when DMU's took over on 10 June 1956, journeys were extended to begin and terminate at Ipswich. Other attempts were made to increase traffic on the branch including visits from the 'Eastern Belle', a train of Pullman cars which ran from Liverpool Street to selected resorts giving a cheap luxury service. resort failed to develop and the station had always been little used other than serving the nearby golf course. Peacock locomotives; the works had its own Aveling & Porter shunter. On closure, a siding and gantry crane were constructed 1 mile east of Leiston to enable spent nuclear fuel to be safely taken away for reprocessing. This line is still in use, but beyond this point the track has been lifted. For further reading see: Branch Lines to Felixtowe and Aldeburgh by Richard Adderson & Graham Kenworthy - Middleton Press. Tickets from Brian Halford, route map drawn by Alan Young. 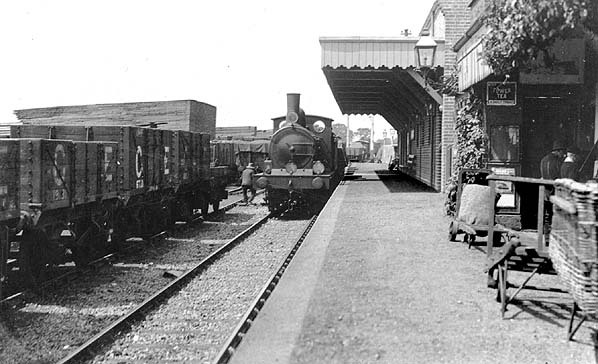 Leiston Station early 20th C.